The purpose of the David Westphall Veterans Foundation is to honor America’s veterans and members of its military forces by memorializing the sacrifices they have made and by recognizing the sense of duty and the courage they have displayed as they answered their country’s call to arms. 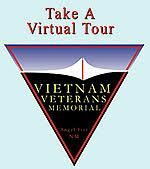 This purpose is achieved primarily by supporting the mission of the Vietnam Veterans Memorial in Angel Fire, New Mexico. Supporting NM Veterans Services in the operation of the Memorial helps fulfill the Foundation’s purpose by providing a memorial to veterans and a Visitors Center that serve as a place for reunion, reflection, healing, and sharing of experiences; for educational displays; for Memorial Day and Veterans Day ceremonies; and as a venue for other patriotic events. The Memorial was originally known as the Vietnam Veterans Peace and Brotherhood Chapel and had its origins in a battle near Con Thien, South Vietnam in which 17 men lost their lives. Among the men, was David Westphall, son of Victor and Jeanne Westphall. Thanks to their vision and determination the memorial exists today to honor not only these 17 Marines but all members of America’s armed forces.